Md. 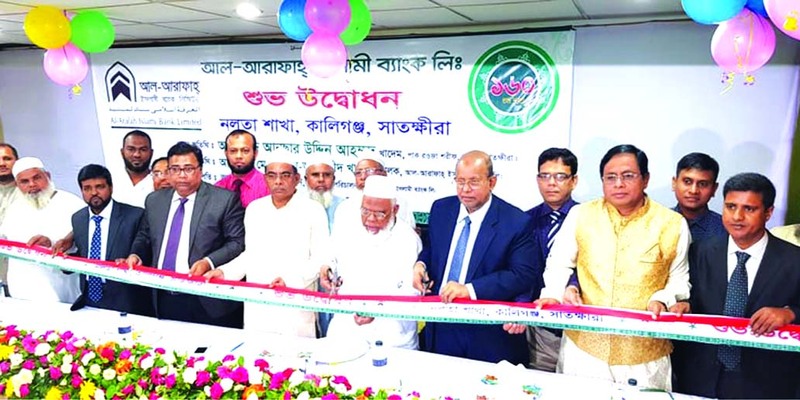 Harun-ar-Rashid Khan, Director of Al-Arafah Islami Bank Limited, inaugurating its 160th branch at Nalta under Kaligonj in Satkhira on Sunday. Md. Habibur Rahman, Managing Director, Md. Manjur Hasan, Khulna Zonal Head, Engr. Md. Habib Ullah, EVP of the Bank and local elites were also present.